At their best, the Golden State Warriors are likely better than the greatest of all basketball teams in history. We haven’t seen that level yet, and the closest we got was the 2017 NBA Finals. 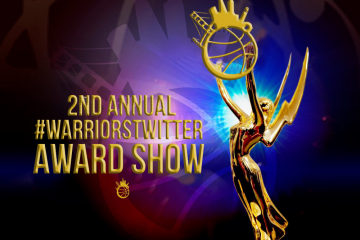 In small spurts, the effort level, random variance, and stunning talent all coalescing together is unfathomable. But on Wednesday night regular season games in November, the Warriors have to find and sustain a different gear. And against the Minnesota Timberwolves, they are showing they can reach the San Antonio Spurs regular season pace. 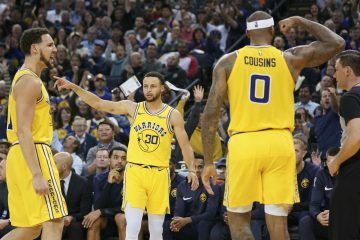 The Warriors didn’t necessarily find that shift early in a 22-22 first quarter and a 51-50 first half but the 125-101 final score indicated just how oiled the machine can be despite the frustrations at times. They’ll never be as consistent from a quarter to quarter and even play by play level like the Spurs but the Warriors are starting to wear teams down through the waves of talent from top down. From Stephen Curry dropping floaters at the top all the way to Omri Casspi back-cutting defenses to death at the bottom of the bench, they are relentless. “I’ve never seen anyone put that much pressure on a defense from 25 feet out.” Steve Kerr’s effusive praise since the season has started has been a welcome surprise for those that are always finding new Steph disrespect from any avenue. 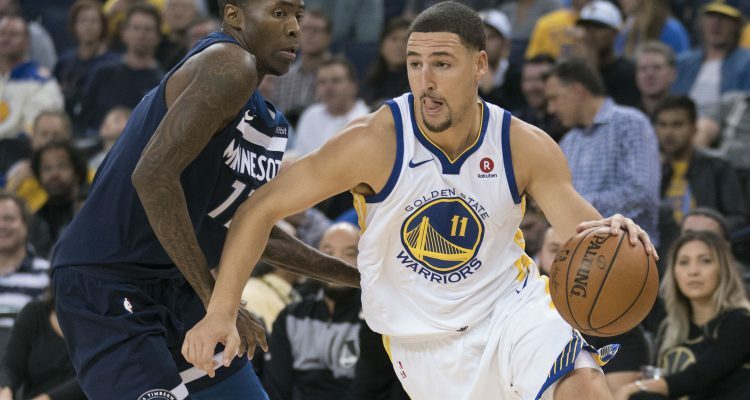 The Wolves defense was physical and aggressive and knocked the Warriors off its rhythm for nearly a half. In year 4, it appears teams are finally starting to overplay the off-ball movement that has made the Warriors offense so unstoppable. And for Kerr, a coach that will go down swinging with his scheme, “I like these games when we’re missing someone, it allows everyone to play…and forces the group to play together.” You can yell pick-and-roll until you’re blue in the face but the pros were shown against Minnesota. No matter who went out there, it was all systems go. Nick Young wasn’t forced to run some random isolation because the starters’ offense devolves into isolation and PNR-heavy attacks. Instead, the same motion offense Steph and Draymond excel in are used for Omri Casspi, JaVale McGee, and Nick Young. And those guys were superb. Nick Young handed out 5 assists but made numerous helpside stops. JaVale McGee looks to have solidified his minutes over Jordan Bell again with active hands and several highlight-reel dunks. David West has been by far the best big on the team. Patrick McCaw is slowly but surely showing the signs of the super role player he can become. And of course, Omri Casspi got MVP chants because he is much deserving. 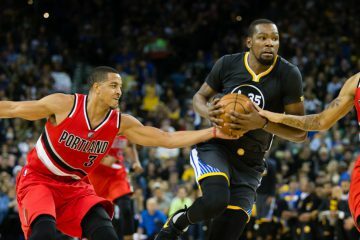 And to top off what is peaking Casspi hype, “I went to KD after the game and said KD you holding me back bro.” To cap the Steve Kerr praise, Casspi also spoke at length postgame about how Kerr has been the only coach who has spoken to his heart, and the Warriors as the first franchise to allow him to feel comfortable and happy. A pretty incredible story so far. 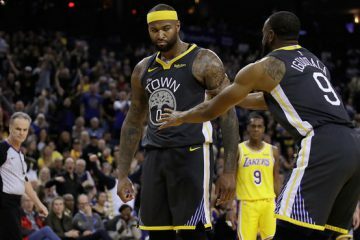 The Warriors’ early season penchant of not trying, playing sloppy, and lack of overall awareness then kicking into overdrive for a late 4th quarter comeback is unsustainable, if not detrimental to future success. During the 5-game win streak, the Warriors are instead picking apart teams with the talent people have expected all along. Klay Thompson will always provide the flash, with his 28 points on 6-12 from 3 shooting, and Steph’s arrogance and lackadaisical showmanship will never end (Kerr admitted they need it), but the balance is in the execution. And right now, the Warriors are finding their identity.